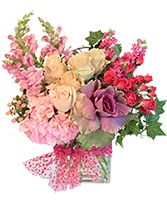 Perfect in Pink is sure to make them smile. 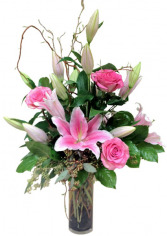 Pink roses, lilies, gerber daisy, larkspur all the garden flowers are in this one. 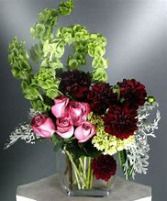 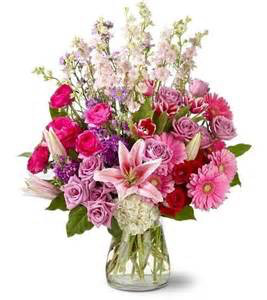 Fill To Value, Pink Gerbs, Lilies Roses, Spray Roses, Larkspur Stock.